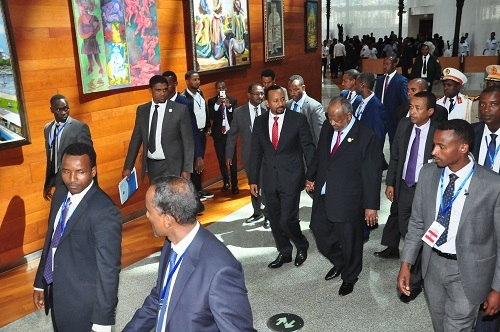 ADDIS ABABA—Ethiopia and Djibouti are keen on regional integration in the Horn of Africa as the region is experiencing very positive changes, Ethiopian Prime Minister Abiy Ahmed and Djiboutian President Ismail Omar Guelleh said during a bilateral meeting on sidelines of 11th Extraordinary Session of the Assembly of African Union (AU). Following the discussion, foreign ministers of both countries briefed journalists on the matter. Foreign Minister Workneh Gebeyehu said that the leaders of the two countries held a fruitful discussion on how to take the bilateral relations into a new height. He also said that President Ismail Omar Guelleh assured that his country will work to realize the initiative taken by Prime Minister Abiy in integrating the region. The lifting of sanctions against Eritrea is a good opportunity for the region to strengthen economic and other relations, President Omar added. Prime Minister Abiy on his part said that Ethiopia will keep striving to bring countries of the region together. Djiboutian Foreign Minister Mahmoud Ali Youssouf told journalists that the two leaders discussed bilateral relations and regional issues. “Ethiopia and Djibouti have a common destiny and have invested in both countries,” Djibouti also will play its part in realizing the vision of integrating the Horn of Africa. 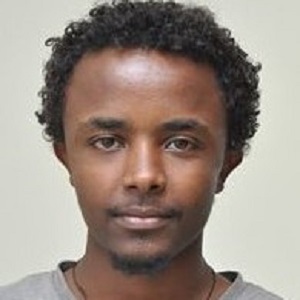 The foreign minister as well said that President Omar Guelleh commended Prime Minister Abiy’s reform that was introduced in the country as well as in the region. “He is a champion of the integration process as he is trying to bring peace to the region,” Foreign Minister Mahmoud Ali added. Djiboutian President thanked PM Abiy for his effort reapproaching Eritrea and Djibouti. Moreover, Djibouti welcomed the lifting of sanctions against Eritrea. The region is heading to a very positive dynamic; the foreign minister said adding the impulse that has been given by Prime Minster Abiy really helps countries create a conducive environment in the region. Djibouti is optimistic and willing to see the Horn of Africa integrated and will work to have the best relations with Eritrea with the assistance of Ethiopia, he further noted.